Who: Renay, one of the co-editors of the excellent blog Lady Business, a Strange Horizons columnist and co-editor of Speculative Fiction 2014. Renay is again our last Smugglivus Guest Blogger of the year, please give her a warm welcome! Do you enjoy zany hijinks? Do you get excited about epic battles? Do you like close friendships defined by encouragement and loyalty? Do you thrive on tragic, heart-crushing backstory? Do you like to weep copiously over characters and/or inanimate objects? If you answered “Yes!” to three or more of these things, you may, in fact, be primed to be a fan of One Piece. I know, I know. It’s January now, and we’re all coming off hundreds of recommendation lists and anticipated book lists, many of them posted as part of Smugglivus. How can I ask you to take on yet another thing, especially a manga that’s been running since 1997, has 73 translated volumes, and is still in progress? But friends, One Piece is worth it. 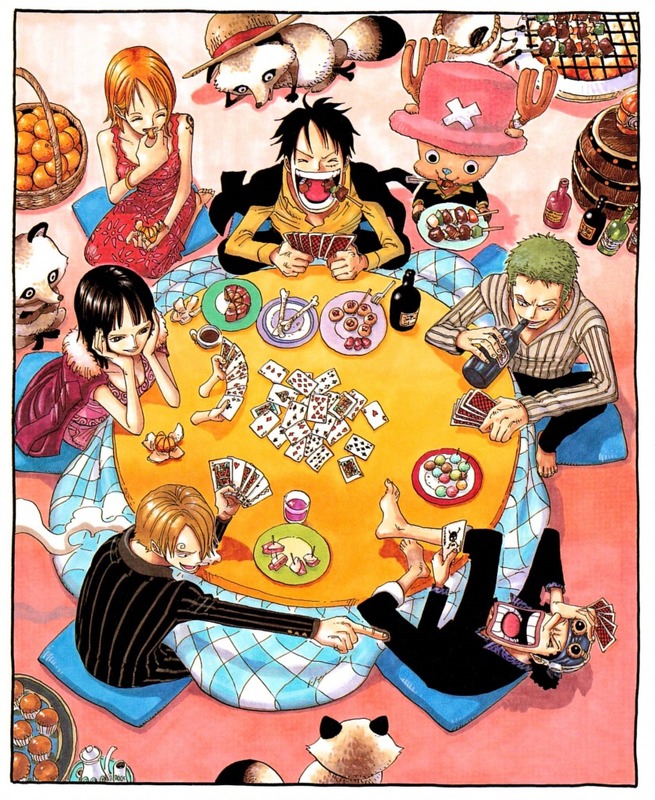 One Piece is the pirate adventure of my heart, filled with team building, deep friendship, politics, high sea adventure, super powers, crying, hugging, and face punching. It is excellent and everyone should give at least the first eight volumes a shot. One Piece by Oda Eiichiro is about Monkey D. Luffy, who as a child, unintentionally eats a Devil Fruit that gives his body the properties of rubber. Ten years after eating the fruit, Luffy sets off to fulfill an oath he made to a friend about becoming the Pirate King. One Piece tells the story of how Luffy meets new people, turns them into friends and crewmates, builds his team into the most wanted pirate crew in the Grand Line, and takes on everyone who stands in the way of his dream of becoming Pirate King. It’s hard to recommend One Piece because I feel like everything is a spoiler, even when it’s not. The joy of discovering these characters is so excellent and fun talking about them too much seems to take away a little magic from getting to know them. 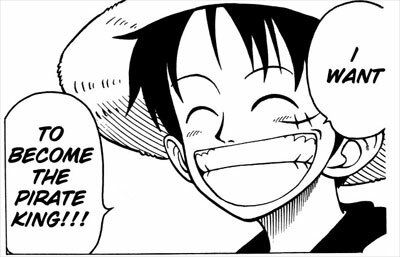 There’s Luffy, determined and optimistic and so incredibly smart, even when it seems like he is as dumb as a sack of rocks. He cares so deeply for his dreams and his friends, the dreams his friends have, and it’s so perfect how much it matters to him to see the people he loves succeed. I could flail over Zoro’s drive to be the best swordsman he can be, to keep pushing himself, his loyalty and trust for Luffy, and his amazingly comical sense of direction. He’s quiet and often accidentally funny, and a cool, strategic presence during a serious crisis. 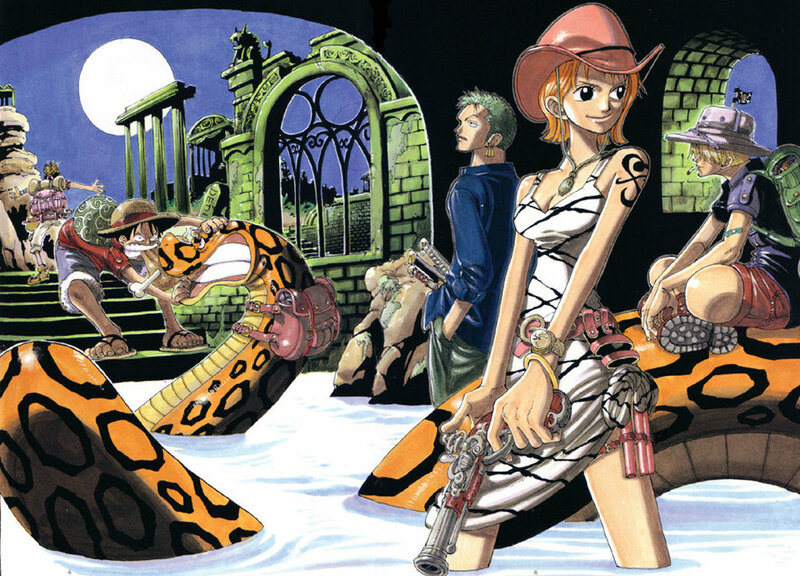 I could write a dissertation about Nami and her desire for self-sufficiency, her place on the team that’s just as incredibly important to the crew as Luffy and Zoro’s ability to beat people up and get them out of tough spots. I could talk for ages about Nami’s past and what it means for her to trust some incredibly dangerous boys and reach for her own dreams after having them so long denied to her. There’s Usopp and his excellent sense of self-preservation and how fabulous and sometimes intimidating it is when he finally stops running away and stands his ground. One of my favorite developments is of Usopp’s friendship with Luffy; it’s a defining moment in the early series. I could go on and on and — there are so many members of the crew and they’re all amazing, but also important are the wide range of fantastic supporting and side characters that One Piece boasts. Even minor characters are given space to be strong, defined people, and some side characters it’s easy to love as much as the main crew. The characterizations of supporting characters helps deepen the main characters by giving them a huge range of interaction. The characters, even more than the tremendous world building, make this world feel huge. 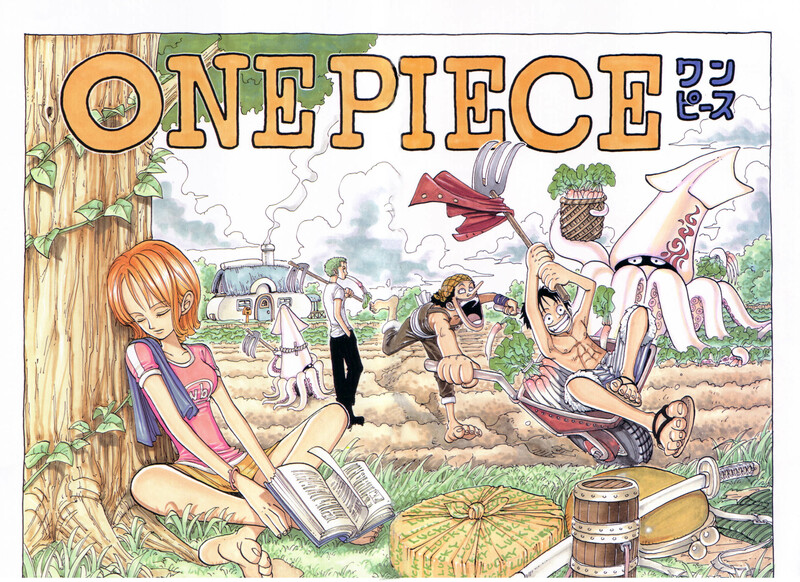 One Piece takes place in a massive world where a huge land mass wraps around the planet. 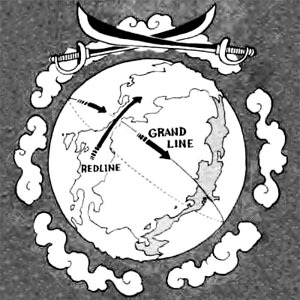 Inside the ocean on one side of the planet is the incredibly dangerous but exciting Grand Line, where most of the adventure takes place, as the crew visits islands and other locations scattered along the path. 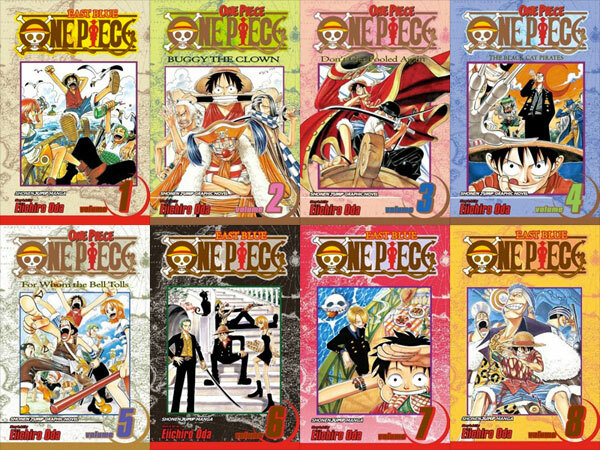 One Piece is an adventure, but it’s also a mixture of epic fantasy, steampunk, political drama, and science fiction. There are snails used as phones and listening devices, a huge range of fascinating MacGuffins, and wildly different types of ships. There are giants, sea monsters, mermaids, ghosts, cyborgs, spies, and a myriads of different types of cultures. Every island Luffy and his crew visit is different and special in its own way, and you never know what the next location will offer to the team. Oda’s greatest strength other than his skill with characterization is seeding the current story with things that will become extremely relevant later in a way that feels completely natural. The world building is immense, and it benefits the reader to pay attention to everything: the panels in front of each new chapter, chapter titles, the background action, and the events or interactions that seem innocuous or random. Just when you thought a piece of information wasn’t relevant, it returns with a vengeance to sock you in the heart. These things don’t impact your understanding of the plot if you miss them, but they do enrich and expand the world in huge ways if you note them. One Piece is a collection of wonderful easter eggs, subtle pieces of characterization that creep up on you, and the tangled nature of past and present. Yes, magical fruit! I know it seems completely absurd, especially in the early days where we meet people with powers, like Luffy or Buggy the Clown, that seem off the wall. I hear you now going, “You want me to read a story about a kid made of rubber? RUBBER?” Yes, my friends, it seems silly now (…and okay it does get pretty silly and often stay that way where Luffy is concerned) but you will later be fascinated by the creativity of how the powers work. Oda will eventually leave your jaw on the floor over the cleverness of this type of superpower, and how the people with power interact with each other, people without powers, and with the wider world. You want some social commentary? I’ve got some social commentary for you via magical fruit. Yes, yes he is, because Zoro is going to be the Ultimate Swordsman. Where else would he keep it? Along with this recommendation comes a personalized rack I made just for you, engraved with your name. This rack will allow you to hang up to ten things you’ll likely need to suspend disbelief for lest you drive yourself up the wall trying to make sense of it. The sword in mouth thing is one of the smaller ones. Bear with me. Another fact I cannot deny, which added to the reality that it is not yet complete makes it complicated to recommend to people, especially those with series fatigue. But despite its length, once I picked it up and got hooked, I found myself returning to it at every free moment, desperate to know what happened next. Before I knew it, I had taken two weeks to read 20 volumes, and it barely felt like I had read anything. One Piece is so fast paced, that if you end up invested, pushing through the length of it leaves no resistance at all. The characters and story here are an extremely worthwhile investment. With One Piece, Oda became one of my favorite storytellers. Oda will pay you back for your time investment by making you care deeply, by making you laugh, by showing you a complicated world full of conflict and politics, and the hopes of people with huge, expansive dreams. One Piece is often oddball and strange, but it is filled with so much joy, too. It is absolutely worth it. 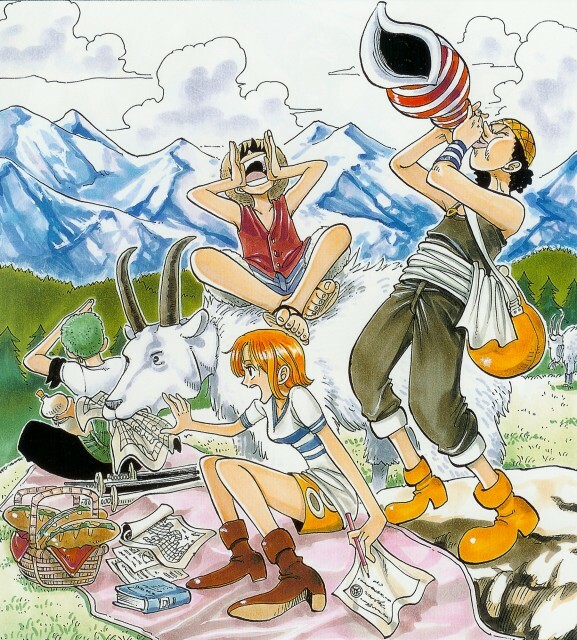 When I was first recommended One Piece, I was told to read through the Arlong Park arc, which goes into Volume 11. 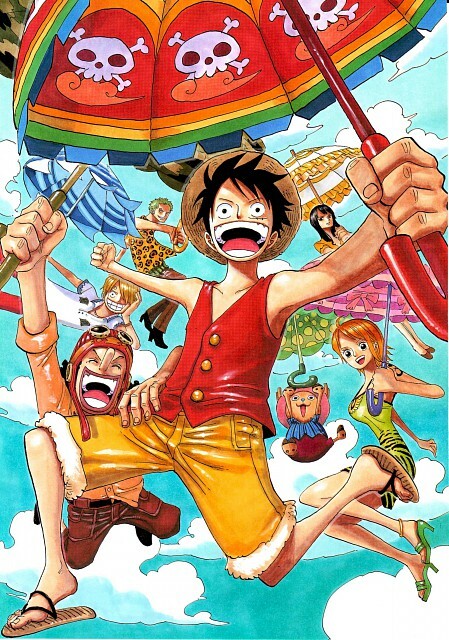 By the time Volume 8 rolls around and what I think of as the First Big Reveal happens, it’s easy to know if you love these characters, especially Luffy and Nami, enough to want to continue. For those unsure, that’s where I would aim. These eight volumes do a lot to define the tone of the story for a good while, until bigger adventures and more companions join to change dynamics and raise the stakes. For my own part, Volume 8 shocked me forward into Volume 9 and 10, and Volume 11 locked me in. There was no going back after That Scene, where I fell in love with Monkey D. Luffy as a hero. I desperately love One Piece, and I want everyone to come love it with me! \o/ This series left me crying over a straw hat, heart aching over the reasons why Luffy cares so deeply for it and what it represents to him, both in the past and as he continues on his adventures, and that’s one of the easier emotional sucker punches the manga will serve up to you. One Piece is a roller coaster, full of surprises and excitement and an excessive amount of warmth and love and emotion from a manga that often looks like it’s mostly about people with superpowers given to them by magical fruits beating the hell out of each other. And although that does happen, that’s definitely not the heart of the manga. There’s so much more to explore. I can’t believe I hadn’t heard of this before but now I went and bought the first 9 volumes. There are DVDs too? Have you watched it? Whitebeard, man. Just… Whitebeard. I can’t define anything more epic than this in any manga I’ve ever read.